As July 4th approaches, programs of American music across the nation accelerate, and the Grant Park Music Festival is certainly doing its part over the next week. On Friday, Carlos Kalmar led the Grant Park Orchestra in a program of American works written in the 1930s (to be repeated tonight), and next week the festival will serve up a choral program of more homegrown music, in addition to the July 4th holiday concert. It’s a good time to take stock of the state of the nation in terms of advocacy of our own musical heritage. Aaron Copland, George Gershwin and Leonard Bernstein are repertorial cornerstones, as they deserve, and contemporary composers such as John Adams, John Corigliano and Philip Glass are critically lauded and popular with audiences. But what of the vast array of 20th-century American composers whose music has largely disappeared from domestic concert halls? The best works of David Diamond, Walter Piston, Howard Hanson, Paul Creston and Peter Mennin are among the finest of our cultural legacy and remain scandalously neglected. Would it be a crime if for every tenth performance of the dreary Lincoln Portrait, we heard Piston’s Incredible Flutist or one of Diamond’s magnificent wartime symphonies? At a time when few American conductors seem interested in excavating the vast riches of our musical past, all credit to Carlos Kalmar for his consistent and eloquent dedication to American music, which was shown again Friday night at the Harris Theater. The program was devoted to works written between 1930 and 1935, and succeeded in offering a snapshot of the various strains of music in the era’s national fabric. Most interest centered on the rarities by two Chicago composers. Born in Grand Rapids, Michigan, in 1895, Leo Sowerby spent most of his adult life in Chicago, where he served as organist and choir master of St. James Episcopal Church for 45 years. Sowerby was prolific, writing over five hundred works, including five symphonies and concertos for cello, piano and violin. 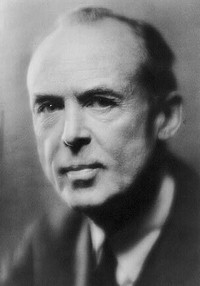 Several were premiered by the Chicago Symphony Orchestra in his lifetime, and Sowerby won the Pulitzer Prize for his cantata, Canticle of the Sun in 1946. Written in 1929, Prarie was inspired by a Carl Sandburg poem from the 1918 collection, Cornhuskers. At seventeen minutes, Sowerby’s expansive single movement opens with a spacious introduction akin to Copland’s Americana style, yet with more grain in the wood and astringency. Sowerby’s organist background is palpable in the long lines, like pedal-points, and he gives great prominence to the woodwinds. There is a mechanistic passage (threshing machines? ), suggesting a kind of rural Midwestern Futurism, and the darkly lyrical tone poem turns stormy and ominous in the final section. This is an impressive work, evocative yet not naive, and Kalmar provided first-class advocacy, holding the architecture together superbly and drawing a dramatic, concentrated performance. Sea Drift by John Alden Carpenter (born in Park Ridge in 1876) is cast in the same mode, a large single movement that takes its inspiration from a poem about natural phenomena—in this case, Walt Whitman’s poems with the same title, from Leaves of Grass. Carpenter’s tone poem is equally imposing, a rhapsodic and atmospheric work, with lyrical wind solos, the wave-like ebb and flow of his phrases conveying the maritime inspiration. Here again, Kalmar provided highly focused expression, bringing cohesion to the sprawling movement and great power and cumulative impact to its climax. William Grant Still’s Symphony No. 1, Afro-American, has its kitschy moments but remains historically significant for putting the pioneering black composer on the map and for its graceful melding of blues and jazz within a symphonic framework. Kalmer gave this colorful work strong advocacy, underlining the piquant scoring, as in the bluesy muted trumpet of the opening movement, and conveying the melancholy expression of the second movement, as well as the purposeful determination of the finale. It would be good to hear other Still music sometime, perhaps the tone poem Africa, his G-minor symphony, or excerpts from the opera, Troubled Island. The overture-heavy program offered a lively reading of Barber’s curtain- raiser to The School for Scandal, spotlighted by lithe string playing, Kalmar bringing out the playful element that is often buried by conductors content to whip up speed and volume. Gershwin’s Overture to Of Thee I Sing was equally idiomatic and sassy, though felt a bit out of place on the program. The evening closed with a crackling performance of William Schuman’s American Festival Overture, the Grant park players handling the challenges of Schuman’s fugal writing and rhythmic reverses with great technical polish and panache. Tim Samuelson, Chicago’s official cultural historian, prefaced the Still and Schuman works with remarks discussing the city’s historically black Bronzeville district and the social evolution of Grant Park, equal parts historical overview and civic boosterism. The program will be repeated 7:30 p.m. Saturday at the Harris Theater. www.grantparkmusicfestival.com; 312-742-7638. I wonder why orchestras so rarely perform pieces such as these. It would be a great thing if orchestral conductors programmed the works of great, neglected American composers. A cycle of the Howard Hanson symphonies would be a good place to start, but there are lots of choices.